I’m a winner! I won a copy of Sunrise City from the awesome bloggers at Theology of Games. They are celebrating their 1-year blogiversary and they post a ton of great stuff. Go check them out: http://www.theologyofgames.com. Or you can learn more about Sunrise City. 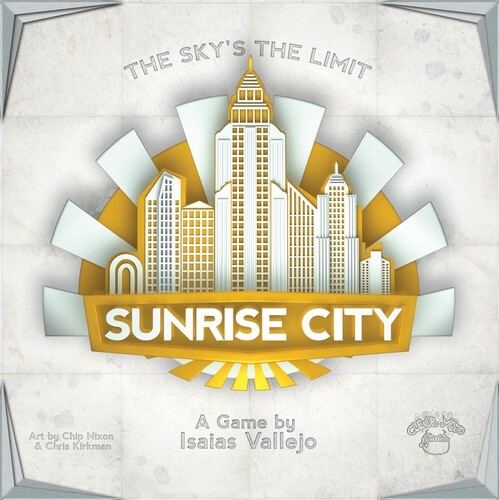 Thanks to the fine folks at Clever Mojo Games, we have a copy of Sunrise City to give away to celebrate our 1-year blogiversary. Did you win…? Posted on July 15, 2013, in Board Games, The Boards and tagged blogiversary, Board Game Blog, Theology of Games, TOG, winner. Bookmark the permalink. Leave a comment.